I grew up in Salem, VA and graduated from Salem High School. 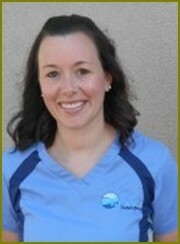 I have worked in Dentistry for 13 years, mostly working with insurance companies and patient payments. I enjoy working with the patient's one on one to help them understand their insurance and payment options. 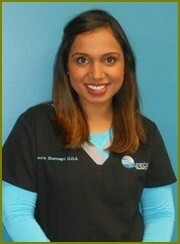 The doctors and staff here at Blue Ridge Dental Group are such a great joy to work with! I have been married for 30 years to Mike. We have a son Billy, daughter-in-law Erin and two wonderful grandsons Julius and Keegan. We also have a daughter Samantha and future son-in-law Tanner. We all live in Salem and love the lifestyle. I love spending time at our pool with family and friends, reading and attending concerts and shows at various musical venues. Hello! My name is Layne and I’m originally from Albany, Georgia but for the past 15 years, I’ve called the Roanoke Valley home. I am a graduate of the Virginia Western Community College dental hygiene program and I also have a bachelor’s degree in Communications from Virginia Tech, with a minor in Humanities, Science, & Technology. Go Hokies! My husband, Ben, is a Roanoke native and we have two wonderful daughters- Collins & Burke and a very active son named Bennett. My patients are the best and often like my second family! 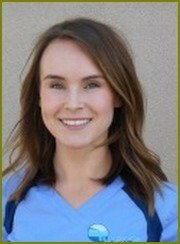 I love my dental team and we strive to make your visit with us a positive experience! Hello, my name is Julia. I am a Roanoke native where I attended VWCC and received my AAS in Dental Hygiene in 2012. My husband and I have two wonderful children ages 8 and 2. Aside from our full time jobs and busy lives we are part of a family owned vineyard with a winery on its way! My interests include being outside whether its hiking, camping or running. I also enjoy viticulture, cooking, reading and expanding my knowledge of healthy lifestyles. Hello, my name is Trish and I grew up in upstate New York and moved to the New River Valley in 2002. 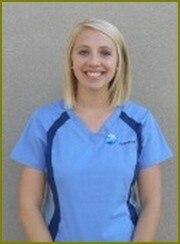 I started my career as a dental assistant in 2006. I am proud to be a member of the Blue Ridge Dental team where the latest technology, education, and patient care is a top priority. In my spare time, I enjoy spending time with my husband, two children, family, and friends. My favorite place to spend my free time is on the beach or pool side. 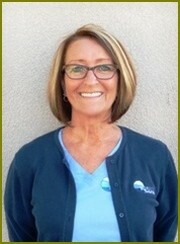 I look forward to meeting you and strive to provide compassionate and friendly dental care for you and your family.